Courtesy of XPRESS PROPERTY RESOURCE,INC. Price Reduced!! Bring those offers. Almost Brand New Pool Home! Built in 2017. Don’t wait for new construction!! Move into this already built beauty in Long Lake Ranch. Mi Homes Cypress Model offers 2615 sq ft of spacious home. Walk in your front door with over 12ft ceilings that make this foyer feel so large and inviting. Open Floor plan downstairs makes it easy to entertain while hanging out in the kitchen or dining area. Upgraded Bosch Dishwasher and new LG fridge. All appliances will stay with home. Upgrades galore- Quartz countertops in kitchen, upgraded tile package in master bath,backsplash in kitchen, wood treads on stairs, tile throughout downstairs, paved driveway, hurricane shutters, crown molded kitchen cabinets, water softener/purifier and so much more! Epoxy coated garage floor. Newly Screened in Heated pool w/salt water system. Overlooking wonderful conservation, no rear neighbors looking in!!! Walk in Laundry Room upstairs. Upstairs offers BONUS Loft area. Master Walk In Closet, Tray Ceiling in Master. Double sinks in 2nd upstairs bath, both 2nd and 3rd bedrooms upstairs have walk in closets. Security system already installed, just need to hook up service. Resort Style Community. Amenities include Tennis courts, dog park, community pool, basketball courts, playground, and walking trails. Tons of restaurants, shopping and easy access to major highways. Don’t wait to see this beautiful home!!! Total Taxes includes CDD fee of 2234.73. Restrictions: All Pet policies are to be confirmed by the Buyer(s) and/or Buyer(s) Agent. Please, send me more information on this property: MLS# U8032655 – $415,000 – 19469 Roseate Dr, Lutz, FL 33558. 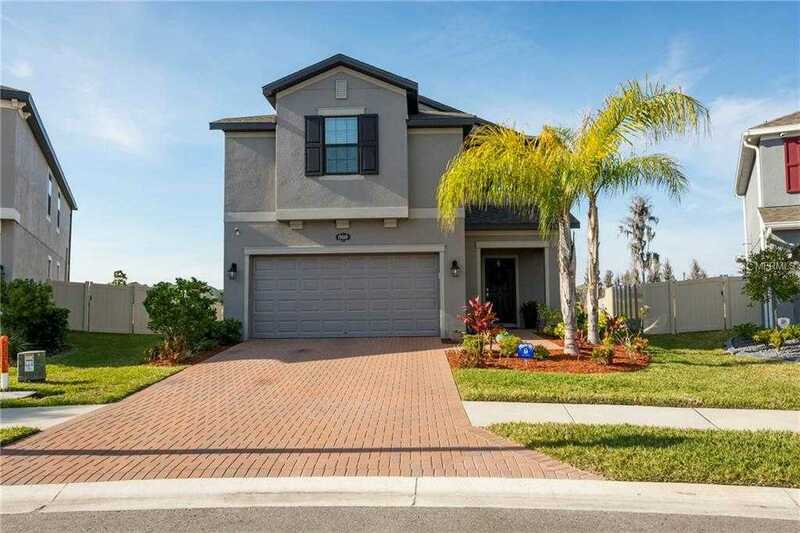 I would like to schedule a showing appointment for this property: MLS# U8032655 – $415,000 – 19469 Roseate Dr, Lutz, FL 33558.